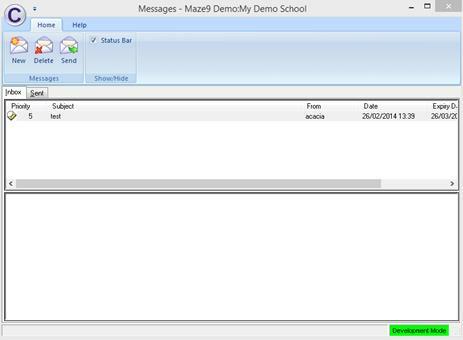 Maze has a ‘Send Message’ feature that allows users to send and/or receive messages to/from other Maze users. 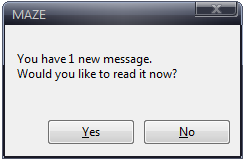 To access this facility, click on the Messages icon (or click this same icon from within the Current Users screen). 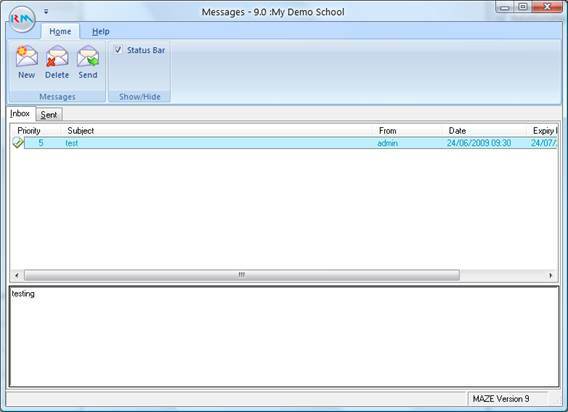 You will be presented with a screen split into two sections: the top section displays the list of messages in your inbox/sent items; the bottom section displays the details of the highlighted message in the top section. You can create a new message, for either an individual or all users, by clicking on the New icon. 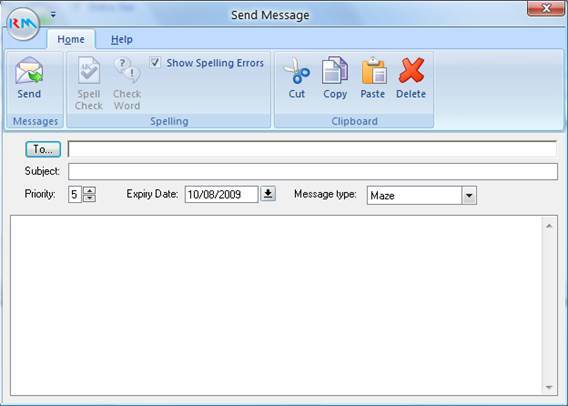 You will then be presented with a screen which allows you to type in the message for the individual. 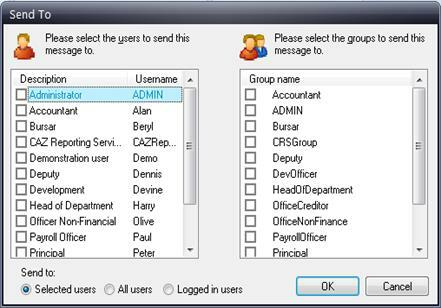 Select recipients by ticking individuals in the Users list and/or the Groups list or by selecting either the All Users or Logged In Users radio button at the bottom. Click OK. Enter a subject into the Subject line, select a priority, enter or select an Expiry date and choose to send a Maze message or an email. Type your message and then click the Send button . The next time the recipient logs into Maze they will be advised of a new message.